I know this is supposed to be a wordless Wednesday where I don't yap and blab along but I just needed to explain the picture. Some of you are probably wondering 'what does that have to do with books?' Well, this is fanart for Harry Potter done by the wonderful Brigid Vaughn, also known as Burdge, (Check out her art website) . 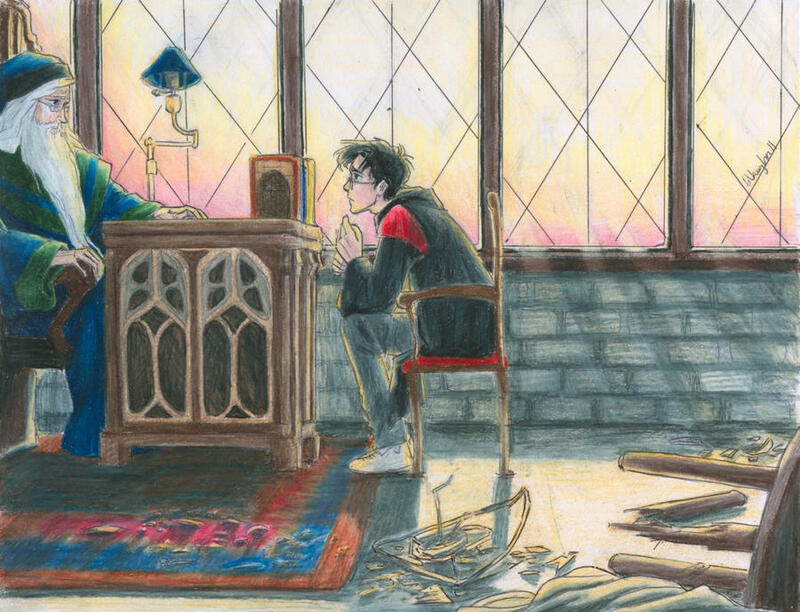 I really love fanart and I absolutely love Harry Potter. This is a scene from the fifth book in the series Harry Potter and The Order of The Pheonix (Which is actually my favorite book in the series). It's simple and intricate all at once and that's why I love it so much. Check out her website, she does loads of different fanart for books, movies, and TV shows.